The first count of defamation in the Millers’ suit alleges that O’Keefe’s text to Chavers included “false and defamatory statements” about the Millers. Specifically, the Millers claim O’Keefe misrepresented the nature of their decision to leave Eliot, where they previously served as tutors before moving to Winthrop. Winthrop Faculty Dean Ronald S. Sullivan, Jr. has recently faced student backlash for his decision to represent Hollywood producer Harvey Weinstein in his Manhattan sexual abuse case. Hours before the vandal spray painted Winthrop, Danu A.K Mudannayake ’20 — an activist who has been outspoken in her calls for Sullivan to step down from his faculty dean position — and a group of other College students distributed flyers in Winthrop. The complaint states that Miller saw Mudannayake and the other students that night and exited the building when they did. Mudannayake wrote in an online post Tuesday that Miller followed her throughout Winthrop House. Mudannayake, who is also a Crimson design editor, has called for Sullivan to resign in blog posts and at protests, arguing his representation of Weinstein conflicts with the responsibilities of a faculty dean. The second count of defamation stems from an email O’Keefe sent over the Eliot House listserv Monday. In the message — which the complaint quotes in full — O’Keefe wrote that the Millers acted “unprofessionally and dishonestly” by filing a police report against Mudannayake on April 3. Mudannayake — who also filed a police report April 3 — and the Millers offered divergent accounts of what happened in the Winthrop dining hall that evening. Mudannayake said Carl Miller photographed and videotaped her as she ate dinner with a friend; the Millers wrote in emailed statements that Mudannayake harassed them and their child. 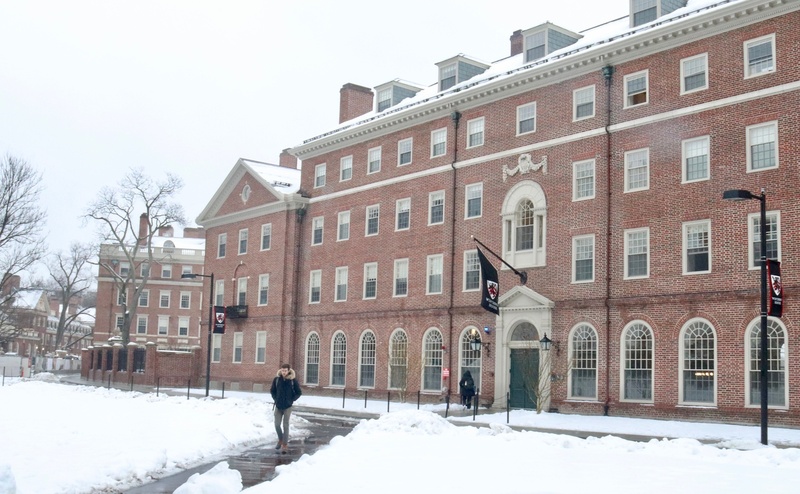 The Millers’ suit comes two days after their lawyer — George J. Leontire — sent a letter to Dean of the College Rakesh Khurana and University President Lawrence S. Bacow, among other University administrators, to criticize O’Keefe’s email to Eliot residents. In the letter, Leontire wrote that the Millers planned to file a Title IX complaint about the confrontation with Mudannayake. O’Keefe declined to comment on the suit. Mudannayake, Sullivan, and the Millers did not immediately respond to a request for comment Thursday evening.